What kind of impact does the general boater have on the environment? This question is on many boat owners minds. The answer, however, is not that simple. But in this short memo I will try to list the major forms of negative impacts that a boat owner may have to consider. When boating, the propulsion of the vessel is one of the factors that can make a difference. From rowing to motoring is a giant step. Somewhere in between comes sailing. Motoring can be done with engines driven on electric power or mineral oil fuels such as diesel, kerosene, and gasoline. The type of engine is important. Sources of disturbances to the environment are; noise, vibrations, physical danger due to under water propeller rotation, exhaust waste, heat, lubricant and fuel spills. As a boat owner you may find some help in the fuel consumption of your boat. If fuel consumption is high, there may be a chance to save money and protect the environment better, by looking over ways to lower this consumption. Proper engine maintenance is important. And there are ways to drive your boat smoother and more fuel efficiently, a form of marine eco-driving, so to speak. 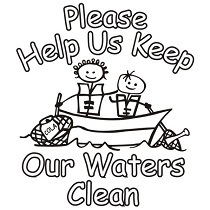 Another boating pressure on the environment is caused by water outlets overboard. Here we have cooling, grey and black water spills to worry about. They are described in some details below. Cooling water spill can be minimized by adequate engine maintenance, having the right size of engine for the job to be done, and closed-circuit cooling systems. Most important is the regular overhaul of marine engines to reduce unnecessary heat spill to the surrounding water. Even though you may think this heat is like a drop in the sea, the impact of cooling water to enclosed water bodies can be quite high. Therefore, it is worth noting whether or not everything on your boat is working as it should. Grey water, the water from dishwashing, showering, and cooking activities on board, can easily be managed by the boat owner. 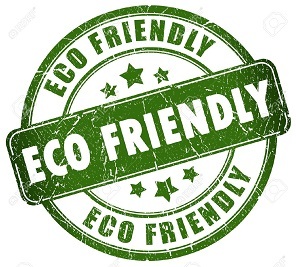 A wide range of biodegradable cleaning agents are available on the market. Of course, boat owners who are concerned about their impact on the environment should use easily biodegradable agents. The amount of grey water can be kept to a minimum by pre-cleaning dishes with paper towels that are disposed of in the solid waste bin. 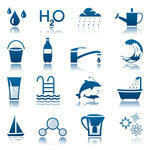 Keeping water use to a minimum is good for many other reasons as well, but helps reduce your impact on the environment. In case non-biodegradable chemicals are used, you can see to it that this grey water is collected in the boats black water (septic) tank instead of flushing it into the surrounding water. Black water, the waste water that comes from the toilet ought to be collected in a septic tank when boating in near shore areas or enclosed water bodies. This tank can be emptied into a receiving tank when in harbour. Most harbours in the Nordic countries have recently installed black water collecting systems. By using these a frequent as possible the impact on the local environment can be reduced to a minimum. Spill from black water systems has an impact on the environment by ways of putting bacteria and nutrients into the water. Bacteria can lead to preading of diseases to other people or to organisms living in the water. Nutrient spills are the primary causes of algal growth, often leading to reduced water quality issues. Waste thrown over the side can also have a negative effect on the environment. This is irrespective of it being solid or fluid waste. But most of the time it is solid refuge that boaters toss over the side. This waste either washes up on the shore or remains in the water for a very long time. 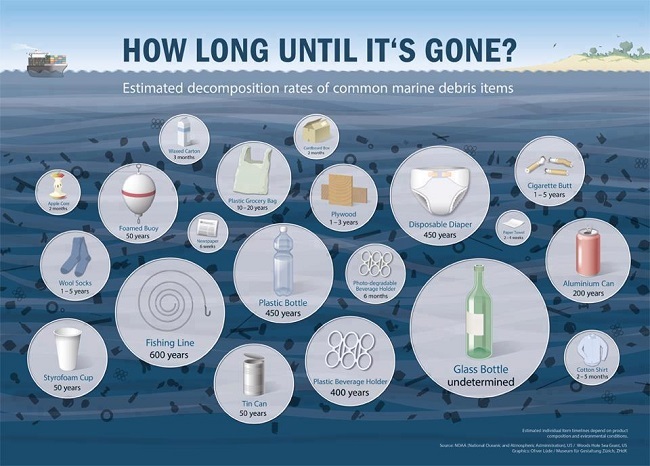 See the following picture that shows the time it takes for a solid waste item to disappear. Chemicals used for cleaning and maintenance of boats and equipment can damage either your health or the environment around your boat. Reduce use of these agents to an absolute minimum. Consider if you really need to use them at all. And if it seems absolutely necessary to use a chemical, make sure your read the instructions for their use and disposal, and follow these. Anchoring and mooring gives rise to environmental impacts by the physical damage that you equipment may cause to the bottom in which you are anchoring or to the vegetation and rocks on the shore to which you are mooring. Try and reduce the contact of your equipment to a minimum. Do not ty in to bushes or rocks that cannot hold the weight of your boat in place. Oftentimes, it is the thought that counts. There comes a time for each boat to retire. If you take good care of the maintenance of your boat, this may be well ahead into the future, but once it is time for your boat to be scrapped, you as a responsible boat owner need to consider recylcing as much of your old boat as possible. Many parts can be used on other boats, and those parts that cannot be re-used need to be taken care of in a responsible way. Maybe you can ask for help with boat recycling from your boat club or from companies that are specialised in taking apart used up boat skeletons. You can make a difference for the environment by adjusting your speed and equipment to the situation at hand. 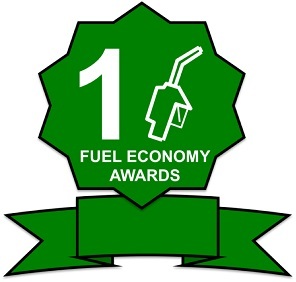 Eco-driving with good fuel economy. 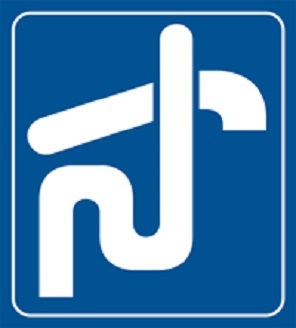 This symbol is used for marking of the blackwater tank evacuation systems that are available in harbours and marinas. Use these systems to reduce your environmental footprint. Thank you for thinking environmentally friendly!